BRISTOL — It got ugly early and just got worse from there. Fairfield American’s dreams of a return trip to Williamsport, Pa., and the Little League World Series hit a serious pothole after Rhode Island’s Tommy Turner threw a four-inning perfect game en route to a 10-0 mercy-rule victory over the Connecticut state champions Sunday afternoon at Breen Field at the A. Bartlett Giamatti Little League Leadership Training Center. 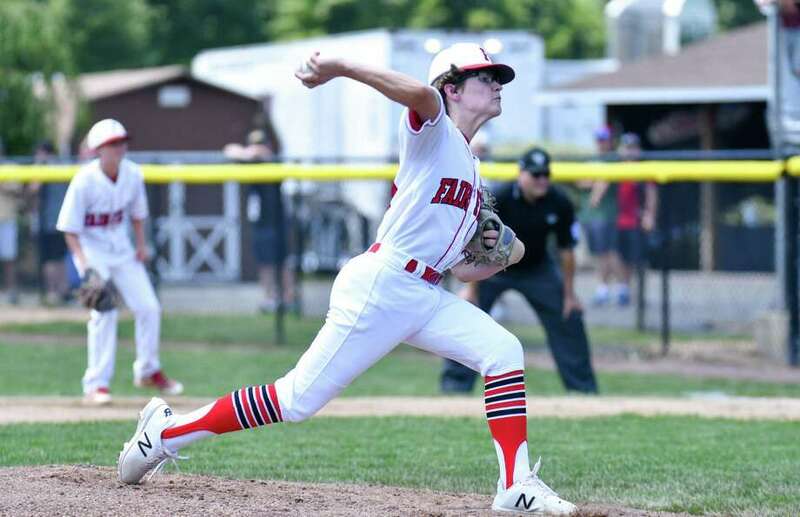 Fairfield American, now 13-2 in the postseason, will play in the loser’s bracket at 1 p.m. on Tuesday with its playoff lives hanging in the balance. With full rest for both Pierce Cowles and Will Meyers, Gouley went with his gut and started Cowles, who came into the game with a 5-0 record and a 1.50 ERA. But Cowles didn’t have it, hitting three batters, walking two others and throwing two wild pitches in surrendering four runs before being relieved by Charlie Yates with one out in the second. Like Cowles, Yates also struggled, allowing three hits and three runs, walking two and hitting a batter in just two-thirds of an inning. An RBI double from Dylan Mourao, a two-run single from Turner and an RBI from Kody Fretts, who was hit by a pitch, highlighted that six-run Coventry second inning that blew the game open. Meanwhile, Turner was dominant. He struck out five and only allowed one ball to be hit out of the infield. An RBI from Jake Mather and a two-run double from Logan Lama made it 10-0 Rhode Island heading into the top of the fourth. And to add insult to injury, Cowles lined a shot off the fence in left for an apparent double to break up the perfect game, but he missed first and was called out on appeal. 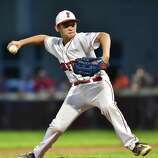 Records: Fairfield American (13-2); Coventry, R.I. (9-0). Batteries: FA - Pierce Cowles (L), Charlie Yates (2), Aidan Gouley (3), Robbie Donahue (3) and Timmy Domizio; RI - Tommy Turner (W) and Anthony Collucci.